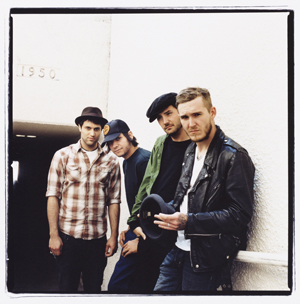 The Gaslight Anthem’s second album, The ’59 Sound, is filled with teenagers, cars, and teenagers in car crashes. Their musical aesthetic is post-punk melded with classic rock – fellow Jersey boy Bruce Springsteen meets Alkaline Trio. It sounds instantly familiar, in the best possible way, and certainly will make you nostalgic for a life you probably haven’t led. At least in college (ahem, University) you had a boyfriend with piercings and tattoos…..
That would be more impressive if said boyfriend wasn’t also doing calculus problems.